Energy savings in your home can be improved by controlling room humidity levels and using two types of humidifiers. There are whole house humidifiers that attach to the forced air heating system or portable units and can condition smaller portions of your property. Both groups of humidifiers will help increasing room humidity but waste energy and/or water at the same time; some significantly, others considerably less. However, if used properly, good quality whole house humidifiers will make you feel warmer in colder months, thus allowing you to lower the thermostat temperature settings, and saving energy while still feeling comfortable in your home with slightly increased room humidity. 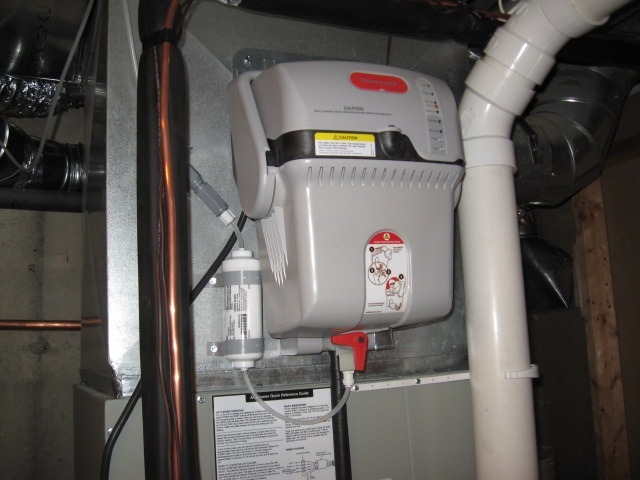 I did some research a couple of years ago and decided to install in my home the Rotary Disc Furnace Mount Humidifier by Desert Spring. It is very effective in increasing room humidity and extremely energy efficient. However, it took me two years to come to this conclusion, after the first year I was slightly disappointed but during its second year rotary disc humidifier performed perfectly well (my first impression – rotary disc humidifier review ). Second on my best humidifiers list would be the Honeywell TrueSteam™ model. It’s much more expensive, with more complicated design than the one by Desert Spring, but based on the opinion from my friend who’s been using and monitoring it during the last two cold seasons it is a great performer. Honeywell TrueSteam™ might be also a great solution for those with limited space and access to air ducts since the unit doesn’t require installing on / attaching to a furnace or an air duct. Most of the portable type humidifiers will not be capable of increasing humidity of the entire area of your home to the point where you can lower the thermostat setting by a couple of degrees and still be comfortable. However, there are a few large portable humidifier units, which can be placed strategically in your house and work not only on single room humidity. Placing them close to the air return port will increase their efficiency. If you decide to work only on a single room humidity levels with a small humidifying unit, there won’t be any noticeable energy savings. However, if you use it in your bedroom, it will help you breathe easier during the cold and dry months. If your humidifier didn’t come with a display showing you actual room humidity, purchase an inexpensive digital hygrometer to monitor relative humidity inside your house (one on each floor would be ideal). 35% -40% is a comfortable room humidity level for most people, going over 50% room humidity might elevate your allergy problems, cause mold growth, walls / ceilings staining, paint and wallpaper peeling, etc. If you have hardwood flooring in your house, you may notice changes in its appearance depending on the humidity levels. Maintaining that 35%-40% room humidity during the cold season should keep your floors in good shape. Maintain your humidifier(s); don’t let them become contaminated with mold, scale, and/or rust; replace water pads and filters on a regular basis. 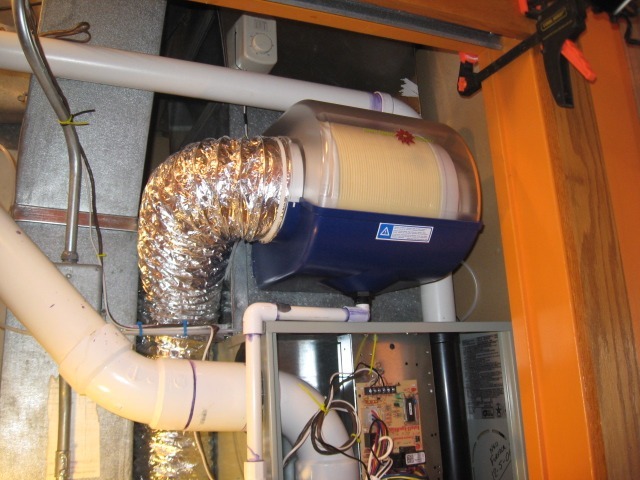 If you have a forced air heating system installed in a crawlspace you may not even know about a humidifier attached to one of the air circulating ducts. 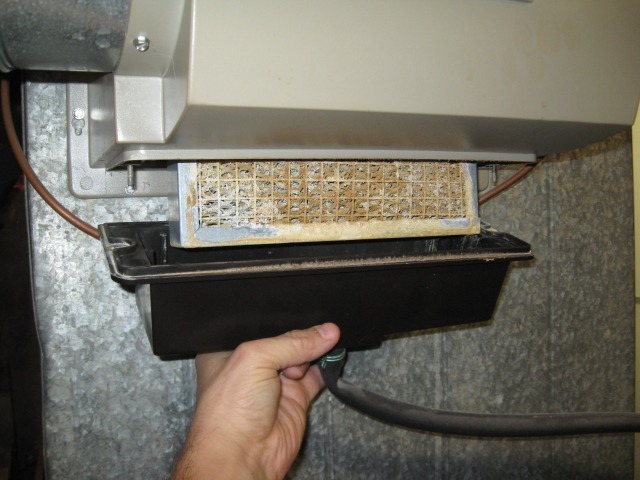 Without a routine maintenance those humidifiers often become heavily mold contaminated and spreading the mold spores through your home making you and your family sick. Filter your humidifier water supplying line if you have hard water; it will lower the amount of maintenance the appliance requires. With those simple whole house humidifier energy saving tips you’ll be able to better control room humidity and breathe easier indoors during the cold season.